77 percent respondents would prefer an open vista pillar design. We also appreciate the pictures and stories that you shared. This important social history of the crossing will be considered and celebrated as part of the final design. The Old Mandurah Bridge Redevelopment project is currently in phase two. Discuss and agree the form of the new bridge within the context of adjoining land uses. During the current phase, the CRG had anticipated to provide proposed concept designs back to our community. As the possible solutions are still being examined, the CRG are unable to deliver designs at this point. Following the Minister for Transport’s decision on the preferred option, bridge designs will be developed and presented to our community. Further examination and rigor to be applied to the Value Management Workshop outcomes. Incorporated this information into the business case to be presented to the Minister for Transport. Throughout the next phase, the CRG will continue to keep our community updated. In the meantime, visit haveyoursaymandurah.com.au/oldmandurahbridge. Copyright © 2013 City of Mandurah, All rights reserved. You are recieving this email because you are a business owner within the City of Mandurah. FOR COMMUNITY GROUPS, CLUBS, ASSOCIATIONS (Incorporated or Unincorporated) BASED IN THE PEEL REGION – Best Community Story (Prize $1,000): Highlighting the unique identity and lifestyle of your location OR the valuable activities your group performs in your community. – Best Heritage Story (Prize $1,000): Highlighting a unique and interesting historical event in your location. FOR BUSINESSES BASED IN THE PEEL REGION (Must hold a current ABN) – Best Innovation Story (Prize $1,000): Highlighting an instance where your local business has innovated, the nature of that innovation and the benefits you derived. – Best digital technology take up story (Prize $1,000): Highlighting an instance where your local business has taken up digital technologies and the benefits you derived. FOR SCHOOLS IN THE PEEL REGION – Best Community, Heritage or Innovation Story (Prize $1,000): As per the categories above. 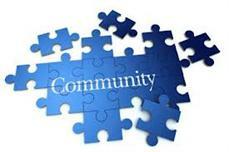 All digital media must be submitted to community@rdapeel.org.au by 5pm 14 May, 2013. The winners will be announced on 20 May, 2013. By submitting an entry to this competition you attest that you are the owner of all intellectual property related to the entry and you grant RDA Peel Inc. the exclusive right to publish the material provided in the entry, including the name of the entrant, in any and all printed and digital publications of RDA Peel Inc. This year the Australian Government will provide up to $5 million in Community Environment Grants to support local community groups to protect and improve their natural environment. Groups can apply for a grant anywhere between $5 000 and $50 000 (GST exclusive) in value to contribute to the sustainable management of Australia’s environment. Funding through the Community Environment Grants will assist community based organisations to contribute to these strategic objectives. Grants are currently open and close on midnight (12am AEST) Wednesday, 8 May 2013. More information and to apply online CLICK HERE or contact the Caring for our Country hotline on 1800 552 008. Junior Landcare Team Award – Landcare Australia Junior Landcarers across the country are being encouraged to submit a nomination for the Junior Landcare Team Award in the 2013 State & Territory Landcare Awards. The Junior Landcare Team Award category will recognise an outstanding youth organisation or young Landcare team that contributes to raising awareness, knowledge and understanding of Landcare amongst young people up to the age of 18. The Peel Region’s North Dandalup Primary School was last year’s Westpac Education Award winners. Ian Potter Foundation Applications are open for the Ian Potter Foundation’s second round of funding, with nine grants to be made across a broad range of sectors and endeavors. 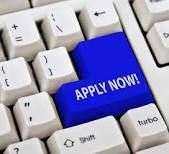 Successful applicants will be notified approximately three months after the funding round closing date which is 28 May 2013. National Volunteer Week As part of National Volunteer week from May 13-19, Australians are being urged to say ‘thanks a million’ to volunteers who give up their time to help. Volunteering Australia has urged Australians to say ‘thanks’ through social media, events or letters of support. The most recent figures from the Australian Bureau of Statistics show roughly 6 million Australians give their time and services annually. CLICK HERE to find out more about National Volunteer Week. HEYWIRE Competition – Australian Broadcasting Corporation Heywire is young regional Australians telling it like it is. Young people aged 16 – 22 are asked to submit a story about life in Australia outside the major cities before Monday, September 17th. Your story can be created in any form of media: text, video, photography or audio, and if you are selected as a winner (roughly 40) your story will be featured on ABC Local Radio, ABC Radio National, ABC TV and abc.net.au. You’ll also score an all-expenses-paid trip to the Heywire Regional Youth Summit in Canberra in February 2014. The Heywire Summit is a chance for the participants to develop outstanding ideas and proposals that will create change in their local communities. Joint Masonic Lodge Committee – $6,952 towards a sound system for the Furnissdale Masonic Centre enhancing the community activities for the many groups accessing this facility in Mandurah. Murray Districts Aboriginal Assoc Inc – $15,000 towards costs to support the free elements of the 2013 Mungah Festival which will provide activities and performances celebrating Nyungar culture in the Peel Region. Mardella Ladies Club Inc – $7,766 towards property improvements to the Mardella Hall which is used regularly by the Mundijong community. Murray House Resource Centre Inc – $17,500 towards computers to improve access to information technology for the Pinjarra community. Yarloop Workshop Inc – $80,000 towards a small truck and loader to assist with management of activities at the Yarloop Timber Industry Museum. Wanslea Family Services Inc – $1,273,807 towards property improvements and equipment to support the wellbeing of children, families and carers in the Mandurah and Peel Region. Peel Preservation Group – $5,029 towards equipment to support the water testing and monitoring activities of the Peel Preservation Group. St Ives Mandurah Residents’ Assoc Inc – $13,068 towards equipment to support the recreational activities of the senior residents at St Ives Retirement Village in Mandurah. Concord Caravanners of WA Inc – $5,973 for equipment, furniture and IT to enhance recreation and social opportunities for caravanners and campers in the Mandurah area. Yarloop Community Resource Centre Inc – $7,828 towards a community garden for residents of Yarloop that will provide opportunities for participation in social activities and encourage healthy lifestyles. Peel Harvey Catchment Council – $152,259 towards project costs to implement aspects of the Peel-Yalgorup Ramsar Management Plan. Career Enterprise Centre in Mandurah – ‘Award for Primary & Secondary School ~ Highly Commended’ for the variety of courses they offer that provides students with disability learner-centred programs. Below Notices from Waroona Community Development Officer. see attached for Waroona current events. See below regarding the Waroona Anzac Day. The next Community Meeting is to be held the 3rd Monday of the 2nd Month at 7pm. So that means the meeting is next Monday 15th April at 7pm at the Lake Clifton Community Hall. If you have any Agenda items, let us know or come along, all is welcome. Find out what is happening with the Southern Estuary Road!